AUGUST: Sat & Sun, 11th and 12th ~ This class is a prerequisite for most advanced training. Prerequisites: Successful journeying skills and strong connection with your Helping Spirits. Having attended a Beginning Journeying skills workshop such as the above “EARTH Medicine, STAR Medicine and the 4 Elements” is a prerequisite to take this course. Prerequisites: The Shamanic Fundamentals Workshop or other beginner workshop such as the above “EARTH Medicine, STAR Medicine and the 4 Elements” is a prerequisite to take this course. Prerequisites: Shamanic Journeying experience and a good relationship with your Helping Spirits is recommended. Location: The classes will be held in a sacred peaceful space in West Covina, CA, near the Westfield mall and 20 min from Downtown LA. Occasionally, we may meet at a location in nature. 1-Yr Mentorship for further learning. This two part workshop is both, for Healers and for people wanting to advance in their spiritual path in a powerful and transformational way. 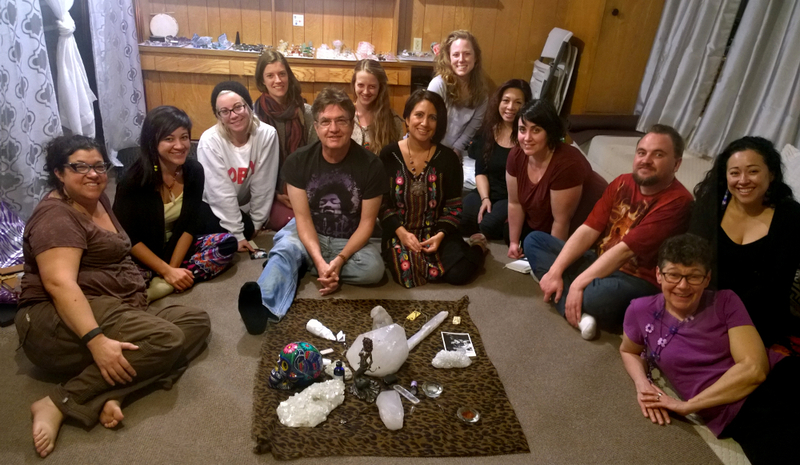 Join our Sacred Circle from wherever you are in the world to learn Shamanism and/or deepen your current practice. Click below to contact me for details. Click below to watch interviews about Shamanism, learn Shamanic Songs and more!